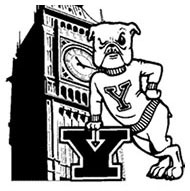 as well as with other Yale summer programme participants and alumni in London. Hors d’oeuvres and refreshments will be served. The event is free and all are welcome, but the EIC has a strict guest list policy, so please RSVP with the number and names of your party by Monday, 12 June. Attendees should adhere to the East India Club dress code.